London is one of the world's leading tech startup capitals — period. Last year, the city's tech startup community contributed more than $138 billion in economic output. Moreover, venture capital investment reached an all-time high of $4.14 billion. Similarly, the number of new technology companies in the United Kingdom rose by almost 60 percent, easily surpassing growth experienced during the previous year. With more tech-oriented businesses than ever before, the city has seen an influx in supporting centres and venues. In many ways, these spaces provide startups and corporate innovators with the resources and directional insights needed to unlock massive growth. 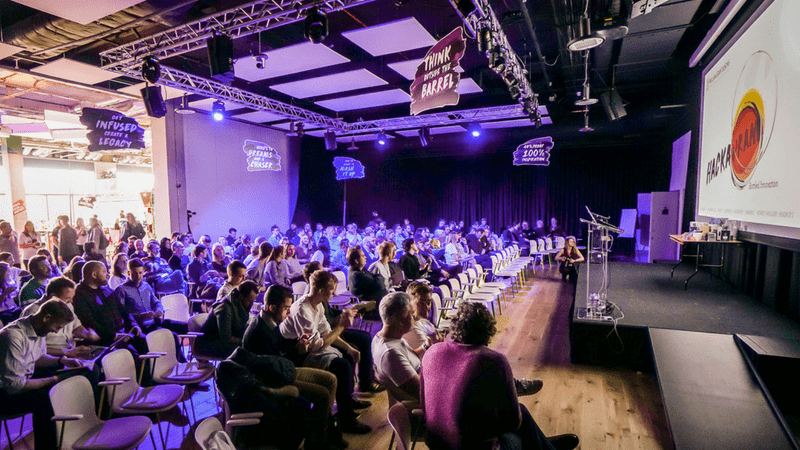 The Brewery is consistently recognized as one of London's leading event and conference venues. Awarded for its service, planning, and food and beverage offerings, The Brewery has delivered unrivaled coverage and support for more than a half decade. The Brewery couples refined architecture with modern, cutting-edge technology, creating a stunning event space nestled within the city's vibrant urban core. We're proud to host business events on behalf of global leading brands. More than just another event space, we're dedicated to providing outstanding service and consequently, enable forward-thinking and influential conferences and events. Event Space: The Brewery can accommodate up to 1,000 conference attendees across six diverse and multi-functional event spaces including The Porter Tun, Queen Charlotte, and The Sugar Rooms. Audio and Visual: Access to an integrated public announcement system, complimentary high-speed internet, built-in projector, and seamless conference collaboration. Food and Drink: Tailored menu and gourmet catering options available. Congress Centre is one of the premier conference and meeting venues in London. Congress Centre's commitment to customer service and satisfaction has positioned the venue as a popular choice among industry-leading businesses and organizations. The venue offers a wide range of purpose-designed event and exhibition space, technology-driven conference facilities, and outstanding food and beverage services. 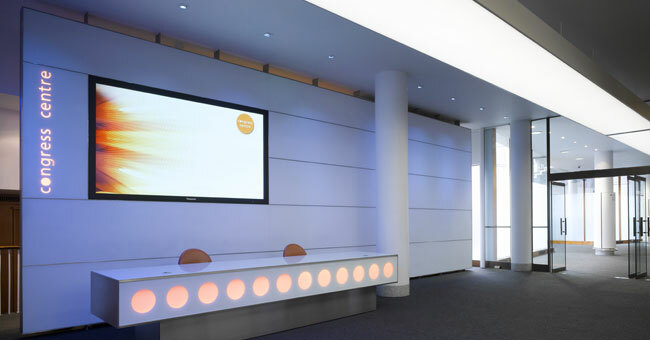 Congress Centre is now one of central London's leading conference and events venues. Our facilities are continually updated to ensure clients benefit from fresh, contemporary surroundings and the very latest equipment. Event Space: Congress Centre can accommodate up to 400 conference attendees across six distinct event spaces including the Congress Conference Hall, Foyer Event Space, and Marble Hall. Audio and Visual: Access to surround sound system with ceiling voice enhancement speakers, lighting equipment, and in-house specialists and technicians. Food and Drink: Breakfast, lunch, and dinner catering options. Plexal is the largest innovation centre in London. Designed to resemble a mini-city, Plexal offers an indoor park, private phone booths, and one of the best workshop spaces in London for rapid prototyping. 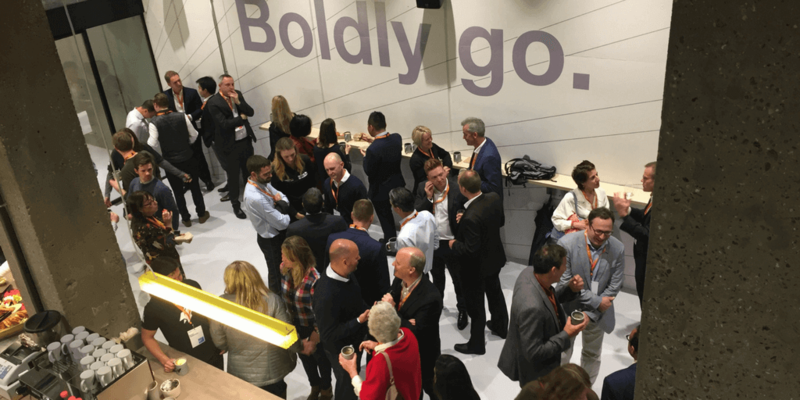 More than a coworking community, Plexal delivers next-generation conference and event space to the world's leading startups, businesses, and corporate innovators. Plexal is the home for innovative conferences, hackathons, and events within a unique and creative environment. Event Space: Plexal can host more than 300 conference attendees. Centre Stage is its largest event space. However, Plexal offers additional accommodations including Plexal Park and Bleachers. Audio and Visual: Access to cutting-edge audio and visual equipment, bespoke lighting, display monitors, projection screen, and more. Food and Drink: Recommended catering list available. In partnership with Smart Group and GL Events Owen Brown, Battersea Evolution is the most versatile modern conference venue in London. Battersea Evolution allows for complete customisation, specially built for one-of-a-kind and breathtaking events. Unlike other large event spaces, Battersea Evolution features convenient one level load-in and round-the-clock access for production crews. Battersea Evolution has seen multiple big businesses walk through the doors to host monumental conferences including the teams from Google and Adobe. 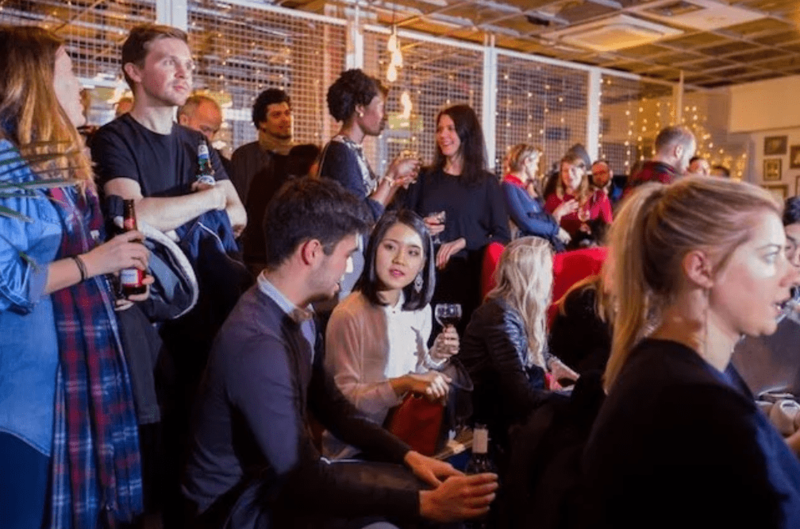 Each conference hosted at the venue comes with its own theme and style, all of which can be catered for easily at one of the best conference venues in Central London, Battersea Evolution. 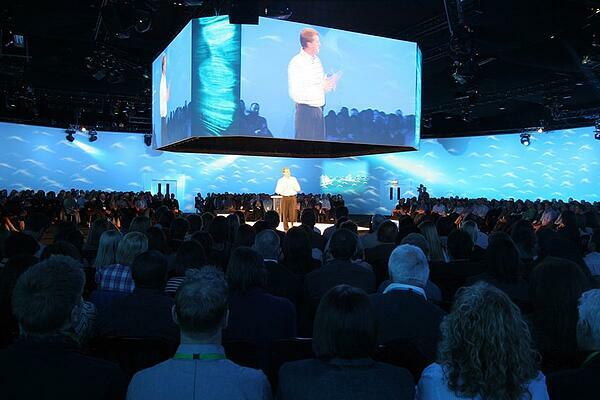 Event Space: Battersea Evolution is equipped to accommodate upwards of 4,000 conference attendees. Sized at more than 5,000 square meters, the venue can be easily segmented into separate plenary, breakouts, marketplaces, and networking areas. Audio and Visual: Access to high-specification audio and visual equipment, unlimited branding potential, high-speed wireless internet, and more. Food and Drink: Smart Hospitality is an exclusive catering partner. Headspace Group is a flexible coworking community built for professionals in the creative, media, and technology sectors. Additionally, Headspace Group offers workshop and event space for hire to London's burgeoning corporate, small business, and startup communities. From product launches to intimate conferences, the event spaces are completely modular and well-equipped to support a variety of event types. We created "The Studio" in Farringdon and Manchester for key events that you may need to hold. We host team building days, yoga classes, cocktail parties, book launches, talks and presentations, art exhibitions, and workshops. Event Space: Headspace Group can accommodate 65 people seated and 150 standing at Studio London. Additionally, Studio Manchester can support 35 people seated and 40 standing. The space can be configured to four distinct layouts including boardroom, cabaret, standing, and theatre. Audio and Visual: Access to event management support and audio and visual equipment. Food and Drink: Private bar. 110 Rochester Row offers state-of-the-art event space in a stylish surrounding. From conferences to small break-out meetings, 110 Rochester Row provides space to suit your specific needs. Moreover, a creative and knowledgeable team offers expert event organisation and support. Guests enjoy 110 Rochester Row's close proximity to National Rail Services, District, Circle, and Victoria underground lines. Spread over two floors, this stylish space can be flexed based on your requirements to create one larger room, two or three rooms on each floor. Alternatively, the whole venue can be completely opened up including the public areas which will present a "warehouse" feel. Event Space: 110 Rochester Row offers two distinct event spaces: Rippington Suite and Nightingale Suite. Each space can be subdivided into smaller sections. 110 Rochester Row can accommodate up to 180 people. Audio and Visual: 110 Rochester Row offers the latest in audio and visual technology including high-resolution projectors, smart lighting, high-speed internet access, and public announcement system with four roaming microphones. Food and Drink: Catering options available through Eden Caterers. Located at the heart of London's tech and financial districts, Runway East offers space for any event. Starting at just £36 per hour, Runway East has hosted industry-leading corporates and startups. Runway East is fully licensed with its own private bar. Event Space: Runway East offers two distinct event spaces including Hangar58 and The Engine Room. Runway East can support up to 150 people. Audio and Visual: All rooms contain either a large screen television or projector. Access to HDMI cable and adapter for audio and visual presentations. Food and Drink: Recommended external catering options available. Private bar with access to tea, coffee, and water. "On behalf of the Tech Tour 2017 Deep Tech Summit team, we sincerely thank you for your generous support throughout the event. We are extremely grateful to have such a strong friend and partner in RocketSpace and to continue this journey together towards fostering world-class innovation." A huge event theatre space that includes stadium seating for over 100 guests. A fully catered food and drink experience. In-house projection, and audio-visual capabilities. With access to major public transportation networks, onsite parking, and vehicle access, RocketSpace offers unparalleled convenience. In addition to being a next-generation coworking community and innovation consulting firm, RocketSpace offers world-class event space. 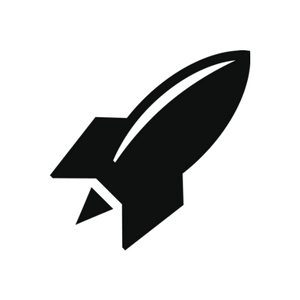 From intimate events to large conferences, RocketSpace has been purposefully built support a variety of event types. Moreover, our expert and accommodating team delivers unparalleled support before, during, and after your event. Access a host of versatile room options including a green outdoor space, theatre, and more! We welcome this opportunity to discuss your unique event. Complete our Event Request Form, and a member of our team will contact you shortly!